Octoberfest, cider and donuts at the Cider Mill, colorful leaf changes and pumpkin beer. These are all things that make fall a tradition. What else adds to that tradition? 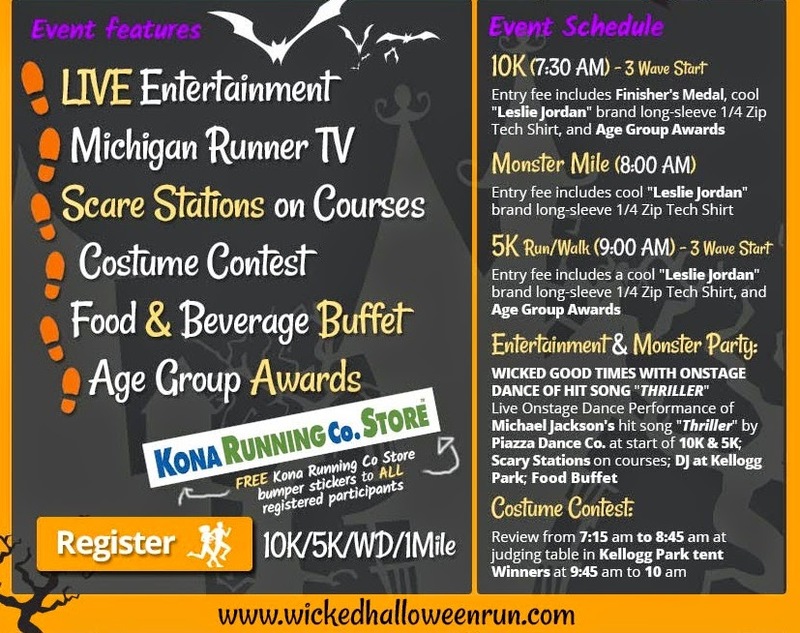 The Kona Wicked Halloween Run, of course! 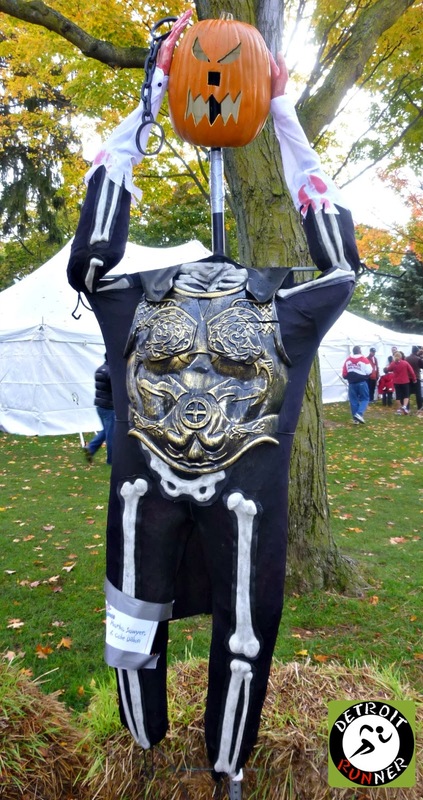 A great fall family event! For those looking for more bling, there the Wicked Double. Run a 10k THEN run a 5k and earn an extra medal in the process. Count me in! I'll be running the double! Free shuttle busses - new at the race this year, there will be a free shuttle bus running from the ACH plant to the expo. If you want to park downtown, you can still do that but Plymouth has been charging for parking and this is a way to save some money. If you go downtown, I suggest getting there early. 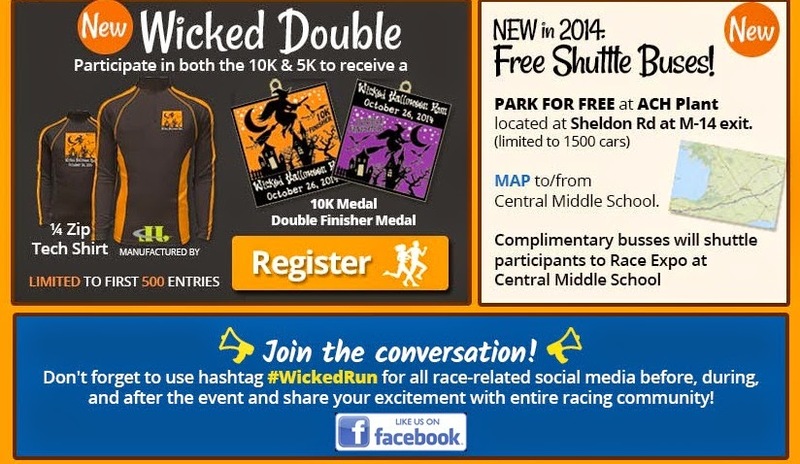 Hashtag your social media with #WickedRun and share your fun. Here are the routes. If you have run the Kona St. Patrick's Day race, you can test out your fitness since the courses are the same. Also don't forget, if you ran the Kona St. Patrick's Day run and the Kona Run in June, you will want to sign up for this and the Kona Chocolate Run to get your Grand Slam medal! Of course, 2013 was the triple crown which was a great series as well! Don't get caught dead like this guy - sign up before they sell out. 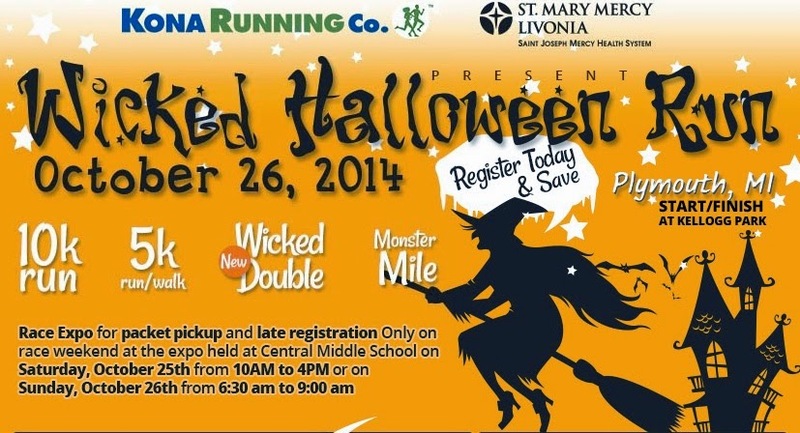 Get signed up for the Kona Wicked Halloween Run today! Also, if you sign up online now until 10/12, use the code WR127865 for $3 off. Note: I am an ambassador for Kona Running Company and receive a complimentary entry to the race in exchange for this post and a post run review. All opinions are my own and I'm not required to give anything other than an honest opinion.